Elegant metal keyboard with nice tactitle for information kiosk or industrial control application. 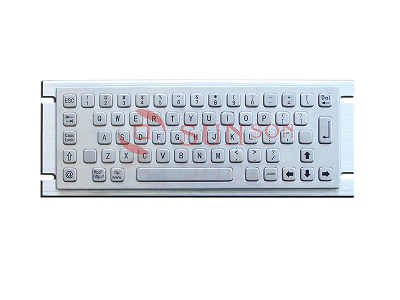 SUNSON Metal keyboard series is using silicone switch technology, which guaratees more than 3000000 operation time. Model SPC295A is one of popular model of SUNSON Metal Keyboard series, with dimension of 295*105mm, it becomes one of the best choice for information kiosk or interactive kiosks. The default connection of this keyboard is USB, PS2 is avaible too. The language on the bottons can be customized in any language. One of the best design of metal keyboard and trackball. The default connection is USB, and PS2 is available too. The language on the bottons can be customized in any language. Model SPC365A is one of popular model for kiosk Keyboard application,the front panel dimension is 365*105mm, This model has option of full braille layout. One of the best design of metal keyboard with touchpad. SUNSON Metal keyboard series is using silicone switch technology, which guaratees more than 3000000 operation time. SUNSON metal keyboard is well compatible with OS of win XP,win7 , win 8 and win 10, even linux and android. The best design for information kiosk, well designed and nice layout. Industrial standard design,The Full range metal keyboard with trackball for kiosk or self-service terminals application.